Known as one of the biggest K-pop acts in the world, NCT are known for their huge group size, consisting of over 20 members. The group has won multiple awards since forming in 2016, taking home the South Korean Golden Disc New Artist of the Year and Disk Bonsang awards. The group is now divided into several separate units that perform all over the world. The group’s first unit, NCT U, made their debut in 2016 with singles The 7th Sense and Without You. 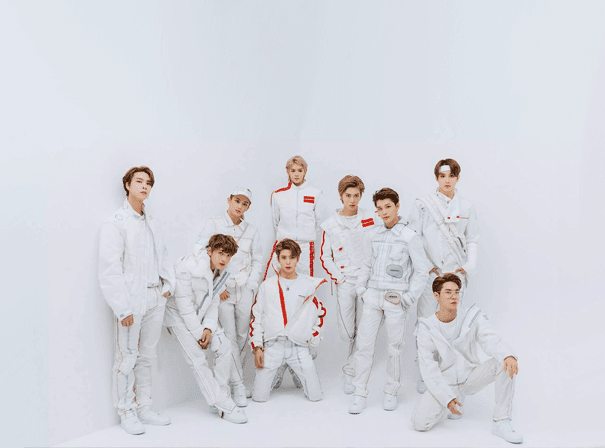 Seoul-based subgroup NCT 127 has scored a series of smash hits after releasing their EP NCT #127, dominating the South Korean Album charts ever since. NCT 127 have won the Mnet Asian Music Award for Best New Asian Artis in 2017 and are now wildly popular across the world. Continuing their evolution, NCT has spawned two further sub-groups, NCT Dream and WayV, the latter operating in China. 2018 was a phenomenal year for the sizable formation, claiming peak chart positions worldwide with the release of albums NCT 2018 Empathy and NCT 127’s Regular-Irregular. NCT 127 will be releasing their long-anticipated full-length project Awaken in April 2019.